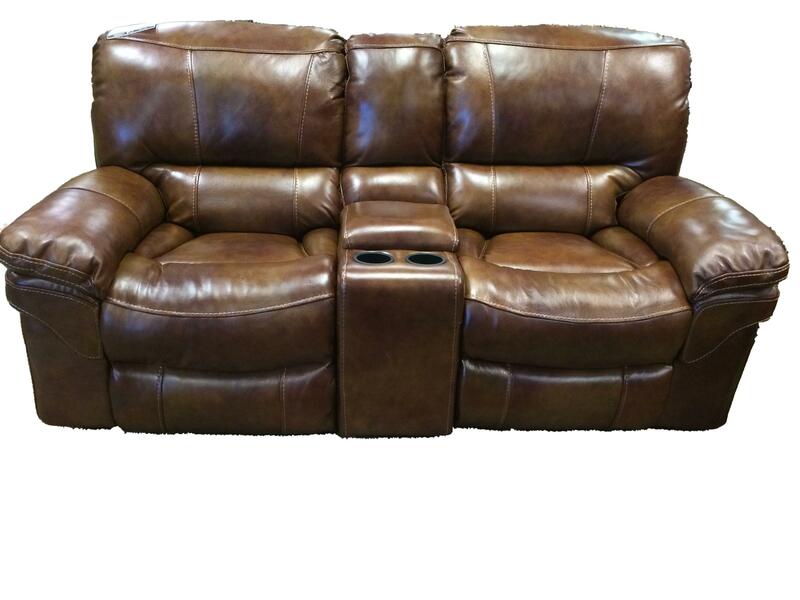 This casual reclining love seat has a great storage as well as comfortable reclining seats for two. Use the center console for conveniently holding beverages in the cup holders or organize remotes and other small items in the storage compartment. The brown leather looks great with other pieces while the top stitching completes the look of the piece. Update your living room, home theater room or other area of your home with this power reclining love seat. The X9335M Casual Power Reclining Loveseat with Storage Console by Cheers Sofa at Miskelly Furniture in the Jackson, Pearl, Madison, Ridgeland, Flowood Mississippi area. Product availability may vary. Contact us for the most current availability on this product. Arm Pillow top arm with stitching details. This casual reclining living room collection brings you pieces that provide an effortless update to your home. With simple stitching details, lumbar support and pillow top arms these piece are comfortable and stylish. The dark brown leather upholstery is easy to incorporate with other pieces and decor in your home. Storage built in to the reclining love seat makes keeping your living room organize easy while the sofa and glider rocker recliner add comfortable seating. Spending time with friends and family is easy on these stylish reclining living room pieces. The X9335M collection is a great option if you are looking for Casual furniture in the Jackson, Pearl, Madison, Ridgeland, Flowood Mississippi area. Browse other items in the X9335M collection from Miskelly Furniture in the Jackson, Pearl, Madison, Ridgeland, Flowood Mississippi area.